Time passes fast! It's Day 5 of Shanghai Masters 2011 - the quarter-finals day. 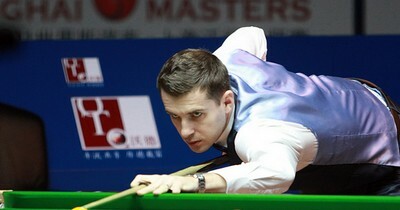 Mark Selby is the first Mark get through to the semi-finals. He beaten his best friend Shaun Murphy 5-4 from 2-4 down. This time, Murphy who played the character of comeback man in his two previous matches was being turnover. Murphy reached match point 4-2 with 85, 85, 70. Murphy missed some balls afterwards which sowed the seeds of calamity. Selby levelled 4-4 to force a decider. In the decider, Selby took control and hit 117 to end this match. "Shaun played better than me for three quarters of the match and he probably should have won, but I was really pleased with the break in the last frame" Murphy who is Selby's best friend sent his best wishes to Mark: "I had chances to win but I just didn't take them, and in the end Mark took the balls really well and deserved it. I hope he goes on to win it now.'' Selby will face another Mark in the semis, Mark King. An incident happened post-match. Furious Hamilton blamed a TV cameraman after his lost to King. "The cameraman was moving on every shot, all the way through the match,""Once your concentration is gone it's difficult to get it back. I know it was the same for both players but I let it get to me. "It was hard to concentrate and it did my head in. I'm still angry about it now." Mark Williams had a quick-fire victory 5-0 over his best friend, Matthew Stevens. Williams had top break of 129 in the third frame. Williams displayed terrific snooker in the event, only dropping one frame in three matches. Williams told his histroy with Stevens: "I grew up with Matthew and I'd rather have played anyone else. I hope he's done enough to get into the top 16 and the Masters. He's good enough to beat me 5-0 on another day." Neil Robertson won the contest between two latest world champions. 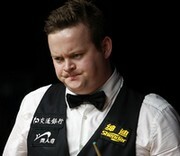 Robertson won 5-2 over Higgins by playing some magnificent snooker today. Robertson took the first two with 78 and 59 before Higgins levelled. Higgins was badly performed after mid session, leaving number of chances for Robertson. Robertson did not let Higgins take a single frame to win 5-3 with 74, 69. 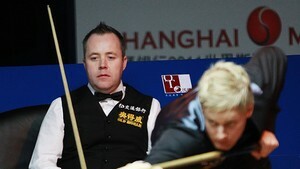 Higgins was out and we are going to see the rematch of Williams v Higgins tomorrow. Robertson at least won one ranking event in the last consecutive five seasons (2006-2010) and he puts his hope in Shanghai to continue his record: "I'm steadily improving as the tournament goes on, and that's generally what I've done when I've won tournaments before, I'm feeling good with a lot of momentum now."